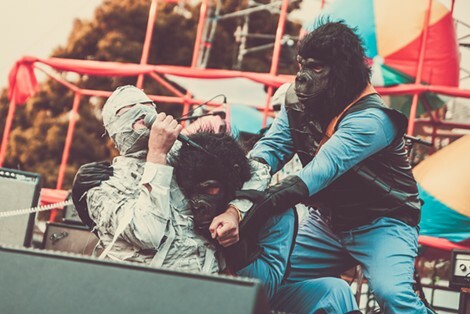 The Mummies played on Saturday, dressed as — you guessed it — mummies. We're At Outside Lands Right Now. Here's What You Should Know. Phoebe Robinson is best known for her podcast. The Weeknd headlines Friday at Outside Lands. Devo headlined the first day of the festival.